Cookies by Design Normal provides beautifully decorated cookie arrangements, an extensive gourmet cookie selection, as well as other specialty gifts. 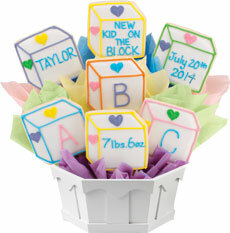 We handle individual and corporate gift giving, with custom cookie bouquets and gift ideas for any occasion. Our cookie experts are here to help you craft the perfect cookie for your celebration or gift giving needs! Each of our signature sugar cookies is freshly baked and hand-decorated right in our bakery and can be customized with a name, special message or even a photo. 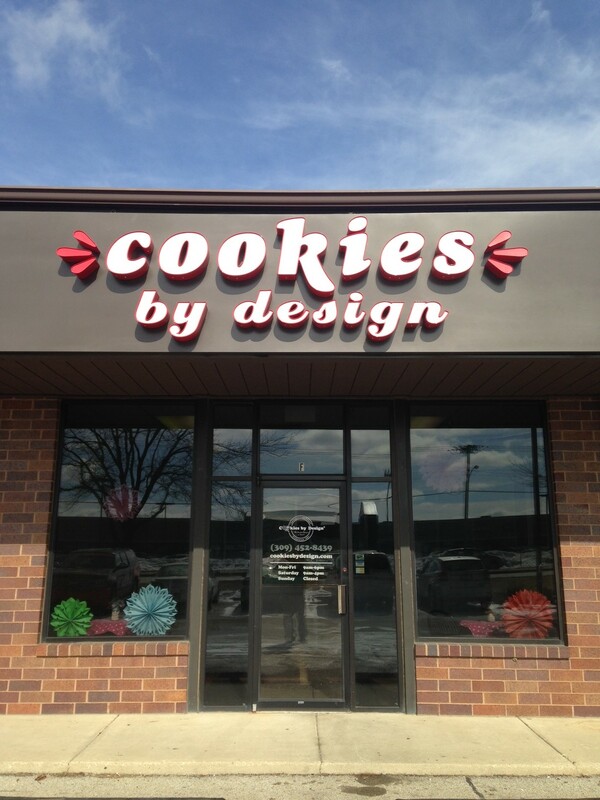 Stop in our Normal, IL bakery located on the corner of College Ave and Towanda and catch the aroma of fresh baked gourmet cookies, cupcakes and treats. Grab a treat for yourself or have a gift basket delivered to a loved one. 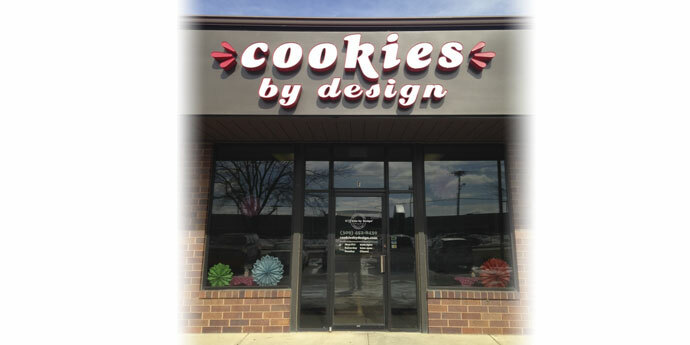 We offer cookie delivery within Bloomington-Normal and within 45 miles including Illinois State University, Illinois Wesleyan University, Advocate Bromenn Hospital, St. Joseph Hospital, State Farm, Country Companies, and Growmark. Same day delivery is available in most areas.